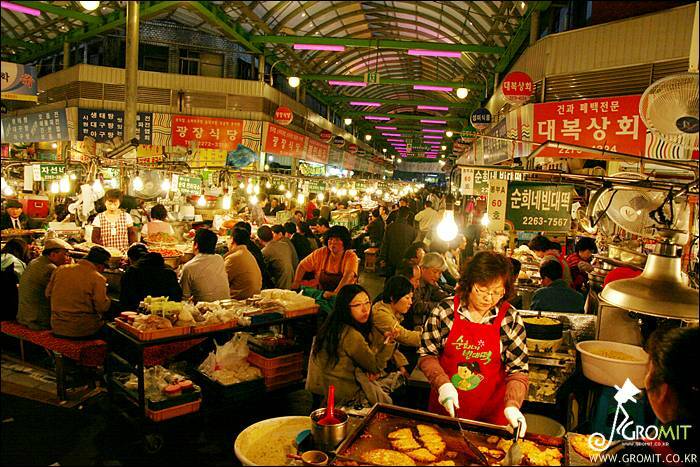 Gwangjang Market located on Jongno is the first daily market in Korea established in 1905. It is famous for the place that mainly sells silk and satins, drapery, Korean traditional clothes, and cloth. More and more visitors come to do restaurant tour as the Eatery Alley was formed inside the Gwangjang Market. People stand in line to have a bite at addictive gimbab, yukhoe, and bindaetteok (mung-bean pancake). Anyone can enjoy satisfying food at reasonable price.